The automobile industry is pretty vast and as such there are many manufacturers at play in it. This is especially true when it comes to part suppliers. When you go to get your car repaired from an official dealership, you get Original Equipment Manufacturer (OEM) parts. However, most times OEM parts are expensive and rare, which leads you to another option – aftermarket parts. If you take your car to a regular workshop you will be given the option of choosing either an OEM part or an aftermarket part. This might lead you to a few questions: what is the difference between OEM and aftermarket parts? Which one is better? Does an aftermarket part void your car’s warranty? It is necessary to know the answer to these questions and then some. Here we have made a list of pros and cons for both OEM and aftermarket parts so you can weigh them against each other and learn which part is better for your car. Before we go any further, we need to talk about what an aftermarket part really is. Basically, an aftermarket part is a part that is not made directly by the vehicle’s manufacturer. If an aftermarket part is an exact replica of the replacement part and there are no design changes you should not have a warranty problem. Aftermarket parts are great because they are readily available and many small manufacturers make it. They are also better if not equal in terms of quality. However, the big downturn about aftermarket parts is that there are no quality checks (depending on the manufacturer ofcourse). You need to request for high-quality aftermarket parts only otherwise you could end up destroying your vehicle. Comparatively Cheap: The good thing about aftermarket parts is that they are comparatively cheaper than OEM parts. Then again, the price you pay will depend on the quality of the part. To save money you need to search around and find the best part for you. Usually the cheaper the part, the more low-quality it is. They are high-quality parts: Although aftermarket parts are not regulated or standardized, they are usually great in terms of quality. It is even possible that you get an aftermarket component that is better than the original. This is because an aftermarket part manufacturer may not be looking at some factors that are important for an OEM parts manufacturer. Numerous choices: There are literally hundreds of manufacturers out there that make aftermarket parts, so you have practically unlimited options to choose from. These parts come in different colors and sizes, which is a feature you don’t normally see in OEM parts. Easily available: The best thing about aftermarket parts, that we all love is that they are very easily available. Go to any auto parts store and you can find various parts lined up on their shelves. Inconsistent quality: it is not always true that you get a good quality product if you pay a good price for it. Cheap aftermarket auto parts are not usually quality certified, which means they can be made up of cheap materials. How else are they offering you such a low price? Therefore, just to be safe you should always go for aftermarket parts that are made by reputable manufacturers. 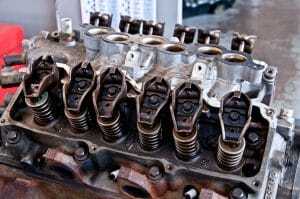 Too many options can confuse you: If you do not have the acumen to buy auto parts you are more likely to get caught up in a whirlwind of choices and never be able to make a decision. This way you are also more likely to choose the worst part out of the lot. Therefore, always consult your mechanic before making a final decision. 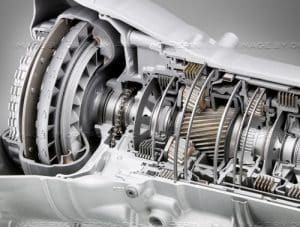 No warranty: Many aftermarket manufacturers provide a warranty with their products However, not every part will have a warranty so beware before buying one. OEM parts are just simply those auto parts that are manufactured directly by the vehicle’s manufacturer. 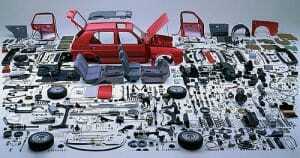 These are the exact parts that come with your car. Straightforward selection: All you need to do to get an OEM part is to go to a dealership and ask for your specific part. All auto parts have a code assigned to them so there is no chance you will get a faulty part. Quality Assured: The OEM part manufacturer has to stay within the quality standards outlined by the industry. So, all their parts are without doubt fault-free. You can buy one without worrying about its quality and performance. Backed by a great warranty: Almost all OEM manufacturers back their products with a warranty. If anything goes wrong with the part you can always contact the dealership and get a concession of some sort. Not cheap: The biggest disadvantage of OEM parts is that they are extremely expensive. They usually cost 50-60 percent more than an aftermarket part. This probably might be due to the warranty the OEM manufacturer provides. Exclusively available at the relevant dealership: OEM parts cannot be bought in a random auto parts store, rather you have to buy them at a particular dealership. The only other option is to buy them online. This reduces your options as you cannot go to any dealership to get a repair or replacement. Furthermore, you would have to wait longer for the repair if you order the part online. Quality might not be better: It is possible for an aftermarket part to be of better quality than an OEM part. That is not always the case but you are likely to pay more for the name rather than the quality of a part. When is The Best Time to Get OEM Parts? OEM parts work best if you are repairing your car after a crash or a collision. After such an incident it is necessary for you to get the right part as an aftermarket one might not fit your car perfectly. Furthermore, an OEM part is better if you have leased your car from a financial institution. A lease makes the bank the owner of your car and if you make any changes to it in terms of changing parts your car’s value will automatically decrease. Lastly, there is the issue of insurance. Some insurance companies prefer only OEM parts as they ensure your car is working at the factory specifications. However, there are some insurance providers that prefer aftermarket parts since they are cheaper. With such insurers, you have to check their contract thoroughly since they might charge you extra for an OEM part. As we have learned, all aftermarket parts are not created equal — but all OEM parts are. At the end of the day, it is your decision entirely which one you go for. As a rule of thumb, you should go for OEM parts where you can for everything else you have aftermarket parts.